The search for identity falls under the concept of self-image. Every person has some image of himself. It could be a healthy, positive image, or it could be a poor, negative one. Regardless, a person’s self-image determines his self-worth in this life, whether he is a success or a failure. Self-image is what affects, for better or worse, a person’s attitude and behavior toward others and life’s circumstances. With all that is at stake, it is easy to see why people are in search of a good self-image. With this study on how to have a proper self-image, you will begin to see yourself from God's perpective. Reality is yours to enjoy! 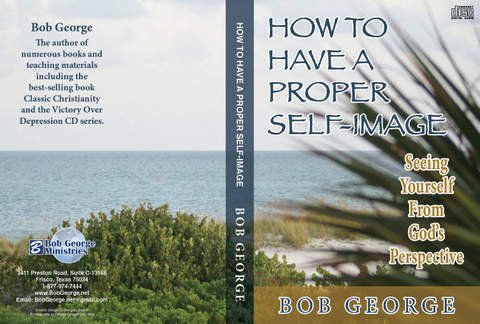 As I discovered over 30 years ago, the truth that God reveals through Bob George is simply not available everywhere. The enabling of Christ and the conforming God does in us is dealt with in this series. Unsure of who you are? Get this!